Clearly, the profile picture of the topmost comment is way too large. Reloading the page, close/open the browser and clearing the browser's cache didn't change anything. When I switch to full site from the page footer, the picture is sized correctly (i.e. it has the same dimensions as any other profile picture on the same page). Switching back to mobile from the page footer will once again lead to the same result shown above. My browser is the up-to-date version of Opera Mini on Android 6. But the exact same effect is reproducible with Chrome on the same device. The same effect can also be reproduced on my Windows 7 desktop with up-to-date versions of all major browsers: Internet Explorer, Chrome, Firefox, Opera and Vivaldi. I didn't test any other OS or browser, but at this point I think the issue is independent from from a specific platform or browser. Rotating from portrait to landscape mode (smartphone) or changing the resolution (desktop) didn't change anything. The profile picture in question is always way too large on the mobile website and correctly sized on the full site. Therefore, I think the issue is also independent from screen resolution and aspect ratio. That particular profile picture is loaded from Facebook. I do not have comments from another user with a profile pic hosted by Facebook. Thus, I cannot say whether this issue is common for all pictures from Facebook or somehow related to this particular picture. 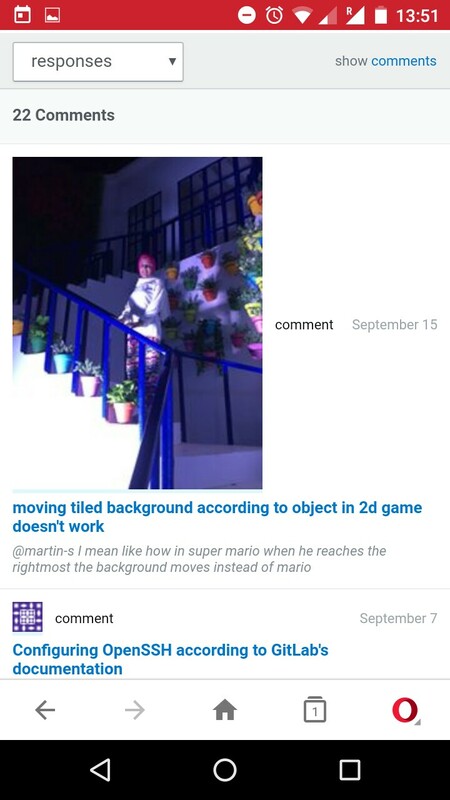 The picture seems to be a perfectly normal JPEG with 200 x 266 pixels. Nothing special. Most profile image providers let you specify which avatar size you want and give you an appropriate image, but not all do. Thus we usually explicitly constrain the avatar to the correct size, but for the 24x24 pixel case in the mobile version, the CSS class was missing. Fixed in the next build, thanks! Not the answer you're looking for? Browse other questions tagged bug status-completed design mobile-web profile-picture .